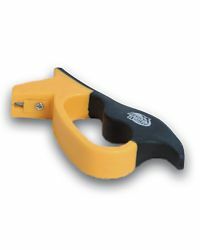 A good, sharp filleting knife makes the job of filleting fish quicker, easier and safer. In our opinion, every trout fisherman should have a proper filleting knife and they needn't cost that much, as you'll see below. We have probably the widest selection of filleting knives you'll find anywhere, starting at only £4.99. If you can't find what you want then let us know and we'll see what we can do to help. Under UK law you must be 18 or over to purchase any of these filleting knives. Click here for details. The Tsunami Filleting Knife from Jarvis Walker has a high quality, razor sharp stainless steel blade and a comfortable rubber handle. 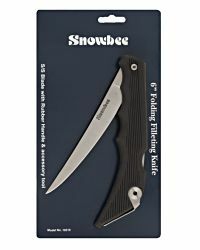 A great filleting knife at a budget price.